Once I heard Chogyal Namkhai Norbu tell a story of a man with a horrible debilitating illness. The man went to a spiritual teacher and asked for help. The teacher listened to the man tell about his problem and then told him he had a secret practice that would correct it completely. He told him it was too secret to teach in the city. They would have to go to an isolated mountain. They scheduled a time for the next week to go. When the day arrived, they went through a forest and climbed a mountain until they came to an open space. The clearing was far away from any civilization and they had not seen anyone in hours. Still, the teacher instructed the man to go through the surrounding forest and make sure no one was around. Then the teacher whispered the secret practice in the man’s ear. He gave him the mantra “om mani padme hum”. The man was surprised. Although, mantra literally means secret words, this was a well know mantra in his country. People wrote it on banners and rocks, inscribed it into jewelry, and recited it commonly. He was momentarily confused, but considering the seriousness of the teacher and the effort he had gone to, he chose to treat this practice as a wish-fulfilling jewel. He began to practice diligently with the mantra. He guarded his practice with the utmost secrecy. It wasn’t long before he noticed results. His illness was indeed completely cured and as he continued to practice he realized even more precious results. I have been contemplating the idea and value of secret practices for at least a year now. I was taught that secret practices are not only secret because people don’t tell them to just anybody, but they are secret because if a common person happens upon them, they would just dismiss them as worthless. Indeed, one of the cautions of sharing a sacred practice with someone that cannot see the value in it is that they will “damage” the practice and hurt themselves by disregarding its value. What if, our teacher in the story had simply told the man that he should repeat “om mani padme hum” a bizzilion times? He most probably would have walked away feeling “blown off” and thinking, “That ole’ mantra is not enough to cure me of my illness. Everybody knows it.” Instead, due to the empowerment, the potency of the mantra came through and helped him. I am appreciative that many secret practices are becoming public these days. I have two books written by Padmasambhava that state they are sealed (meaning secret). Yet, I was able to purchase these from Amazon. And, did you know, that yoga is a secret teaching in Tibet. It is only taught to select people after decades of study? I have always felt that the idea of “secret” is just a useless construct. All information should be freely available. However, I am questioning that now. I do a Taoist practice that has helped me profoundly. It was not taught to me as secret, but after sharing the practice with a few people I began to think it should be secret. It is a value thing. If I share a practice with someone that can completely change their life, it impacts me when they disregard it. Or perhaps the issue is really that when I freely give away what is valuable I am the one devaluing it and devaluing myself. The issue is discernment. Am I able to acknowledge and work with the power of the mind? I am reminded of the chapter, Social Skills, in Deconditioning Ground which deals with the same issue of working with what is instead of denying it or pretending it isn’t so. People do value things more if they have to spend money for it or exert effort to get it. While I appreciate things that are given to me for free, many people will get more value if they have to pay for the same things. Subscribe to the Monthly Update Now! This will get you the monthly update. If you want to get notifications when there is a new blog post, please use the subscription button on the right side bar. Thanks! Chi (or Qi) is another name for “energy” and refers to the subtle energy that flows through and around us. It is also called prana or inner winds. 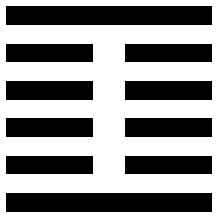 Gung (or gong) simply means cultivation. Chi Gung is, therefore, the cultivation of our subtle energy. There are many ways to “work” our subtle energy and smooth flowing energy characterizes states of peace, calm, vitality and health. Indeed, in traditional Chinese medicine disease, such as cancer, begins as a block in energy flow. What follows from stoppages in chi flow are alterations and blocks in fluid flow that then lead to dysfunction in the immune system. Finally, we have the gross manifestations of disease such as inflammation, pain and tumors. The regulation of chi is a fundamental practice of Traditional Chinese Medicine. Health is maintained by using herbs that influence energy flow as well as stimulating points on the body where chi blockages can occur (as in the practice of acupuncture). Specific exercises are referred to as “chi gung” and these are part of the ancient longevity practices of Taoism. Dragon and Tiger Chi Gung is one such practice. As a powerful stimulator of chi, It is use in China to treat cancer. I was taught that in order to maintain good health one should practice twenty minutes a day. If one was interested in developing internal power in order to compete in marital arts then one needed two hours of practice a day. For spiritual development eight hours was the minimum. Am J Health Promotion 2010 Jul-Aug;24(6):e1-e25. doi: 10.4278/ajhp.081013-LIT-248. 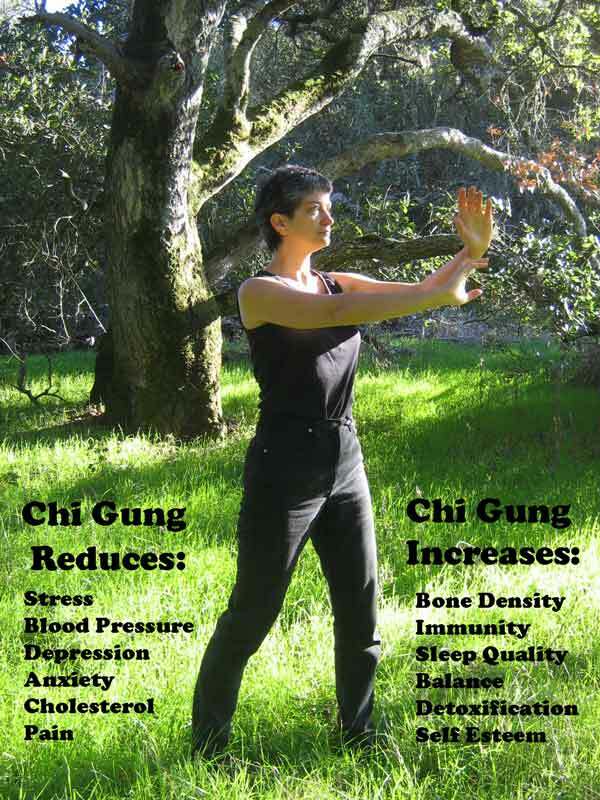 A comprehensive review of health benefits of qigong and tai chi. Jahnke R, Larkey L, Rogers C, Etnier J, Lin F.
I have had so many ideas that I have wanted to write about in the past month. Despite how much pleasure I derive from writing, I have chosen to do other things that are not quite as fun – mainly homework. My greatest challenge is my cultural awareness class where I was asked to explore and embrace my “identity” which is in complete opposition to my spiritual goal of exposing my identity as a flimsy construct. I had a little bit of an internal revolt when faced with the assignment. Thank goodness I was able to soften and complete the task. Right now one of my goals is to complete all my classwork for February by the end of January. This means four more full days of homework. Why would I do this? Well, I have another goal of spending more time in practice. Which is just an extension of my goal to become enlightened and know peace. My plan is to dedicate February to more intensive practice, but I have already tripled my formal practice in anticipation of this. I encourage everyone to simply double the time they are meditating and practicing internal arts and see what that does for them. I have some people imply that I should have more fun. Hey, just because I refuse a social activity does not mean that I do not say yes to an activity that nourishes me and is alignment with my practice. I had other people comment that I was too rigid, especially in regards to my food. If an alcoholic adamantly says “No” to beer or a diabetic adamantly says “No” to sugar is that being too rigid? Perhaps it is, but it also seems very self-serving. Thoughtfully consider what it is you wish to nourish; thoughtfully consider what will best nourish it.